It was a full house at the Cescaphe Ballroom on Wednesday, October 4th, as the World Trade Association of Philadelphia (WTA)celebrated its 86th Annual Banquet and presented its 2017 Honoree of the Year Award to Mr. Ronald Bown, President of ASOEX (Chilean Fruit Exporters Association), based in Santiago, Chile. The award recipient was selected based on his impact on the Greater Philadelphia region’s economy and business community. Past recipients of this honor include Former Governor of Pennsylvania, Ed Rendell, and Dennis Rochford, President of the Maritime Exchange for the Delaware River & Bay. Mr. Bown has been at the head of the Chilean Exporters Association for over 30 years and represents over 750 export companies. Chile's fresh fruit industry is the world leader in exports of deciduous fruit in the Southern Hemisphere, and fulfills demand for fresh fruit in the winter months, in the US. 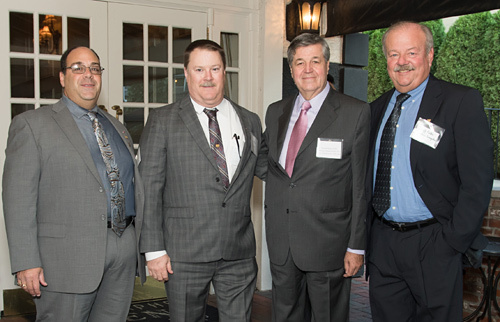 Bown and ASOEX share a special bond with the Greater Philadelphia region that dates back to the first, small shipments of fruit to supply the American market in the 1970's and 80's. This industry has grown to become a major source of employment and revenue for the port community that includes terminal workers and operators, service providers and logistics companies along the Delaware River Region. The majority of winter fruit supplied to the US market from Chile arrives through these ports. 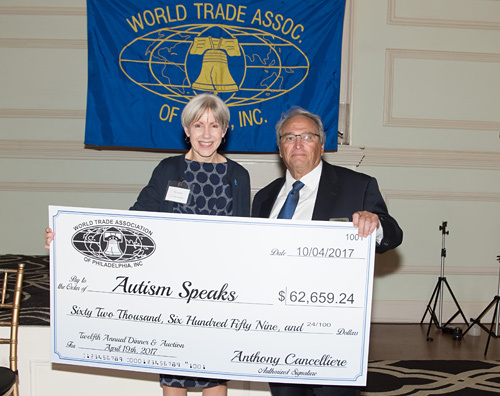 The WTA also presented the proceeds of its 2017 fundraising event to Ms. Ida Miller Ayala, Senior Director, Field Development of Autism Speaks, an international non-profit organization that funds research and provides support to families with autistic children. The WTA is a long-term supporter of Autism Speaks, having raised close to $1 million for the organization since beginning its support. Anthony Cancelliere, WTA’s Fundraising Committee Chairman, presented the check on behalf of the organization. 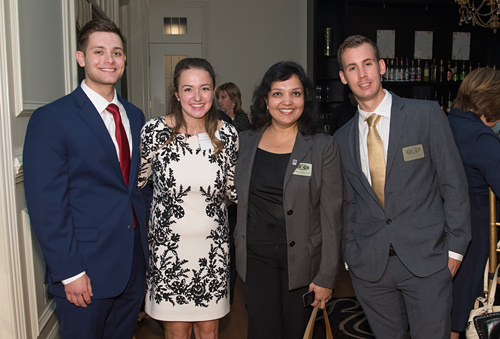 The World Trade, in conjunction with Dr. Neha Mittal, of Temple University's Fox School of Business, Marketing and Supply Chain Management, selected two students to receive the WTA's annual scholarship awards. Peter Abraldes, Chairman of the WTA Scholarship committee presented the scholarships to students Brooke Schisler and Zachery Noll. 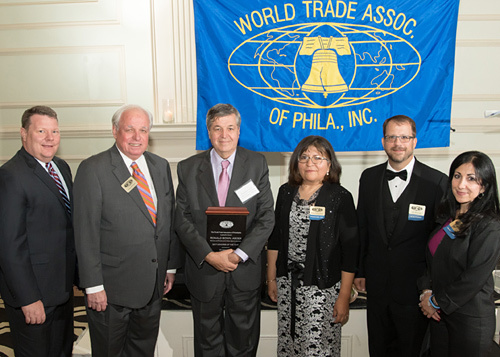 "We are delighted that Mr. Bown was selected by the board of directors to receive the WTA's Honoree of the Year Award, and that the general port community warmly acknowledged the great contribution he and ASOEX have made to our region," said Miriam Borja-Fisher, President of the World Trade Association of Philadelphia.